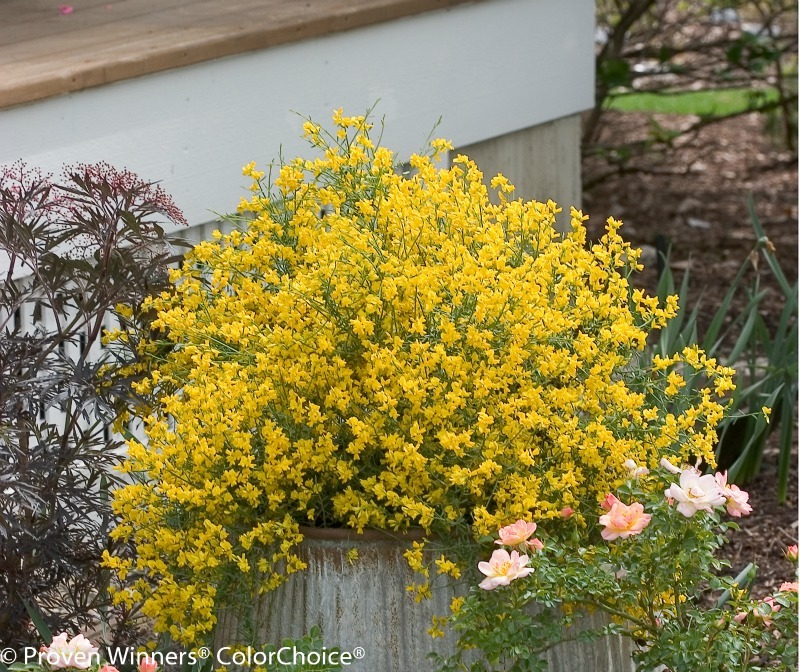 Genista 'Bangle' is a free flowering, low mounding shrub that produces waves of electric yellow flowers in the spring. The bloom starts with the daffodils and ends with the tulips. It has very interesting texture, reminding me of a conifer with its very tiny elongated leaves. It grows in a loose, arching free form pattern. 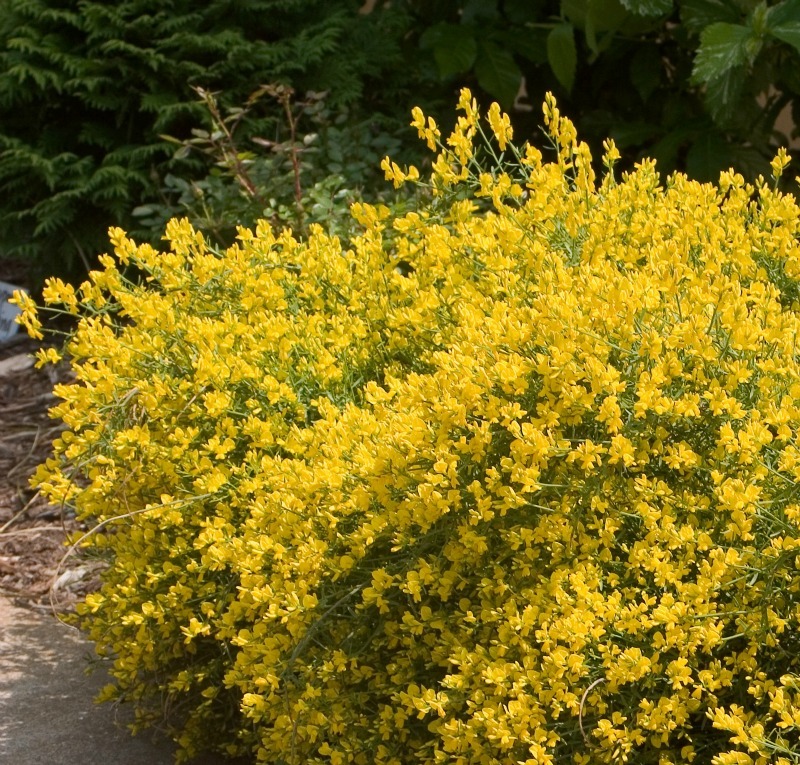 It is a very easy-to-grow compact shrub for any sunny, well-drained spot. 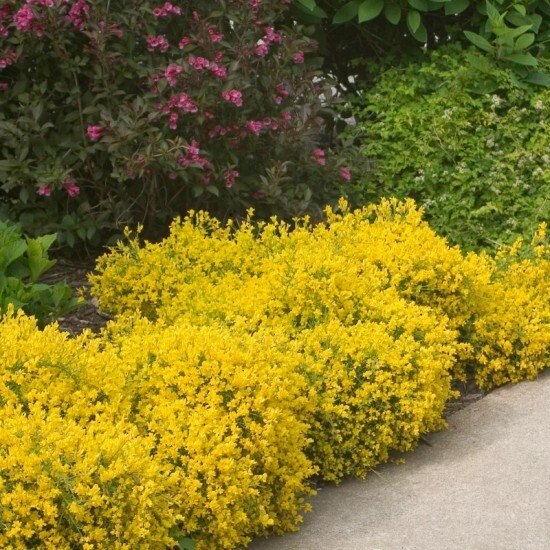 Bangle® makes a fine edger or a low hedge and also works well as a groundcover on slopes. Its very early bloom is a welcome source of food for bees. 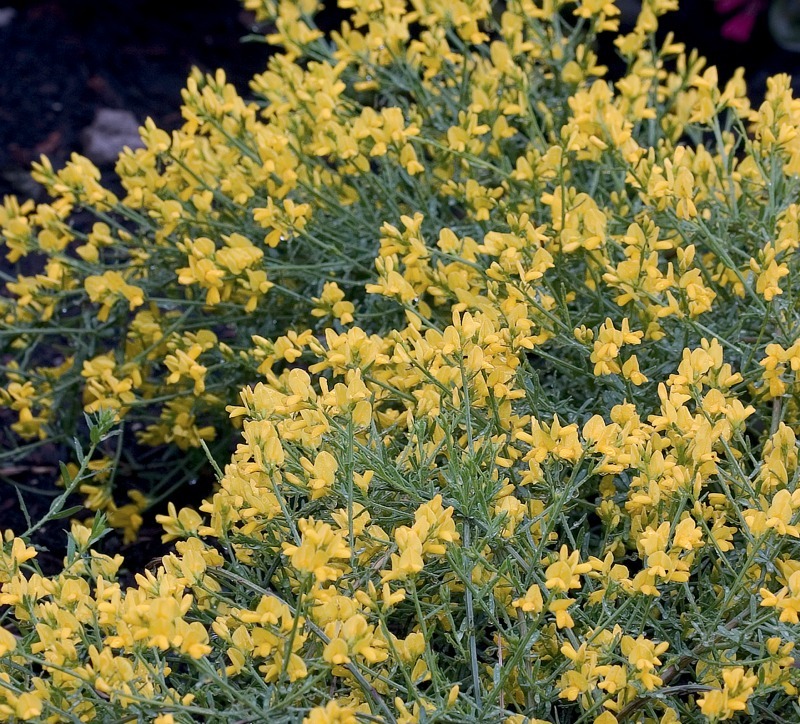 Genista 'Bangle' will grow in any well drained, sunny site. It is very tolerant of heat, dryness and poor soil. It will not tolerate any winter wet. Whitehouse has partnered with ideolio's 3D design App to guide you through the design and plant choice for your garden space. Browse and search thousands of plants and combination ideas to build your dream garden. Dreaming of a new garden? Local Gardening News and Tips right to your mailbox. Seasonal advice, sales and special offers. Unsubscribe any time. The perfect gift for the gardening enthusiast. Copyright © 2014-2019 Whitehouse Perennials.